A step-by-step guide to organising your household paperwork. 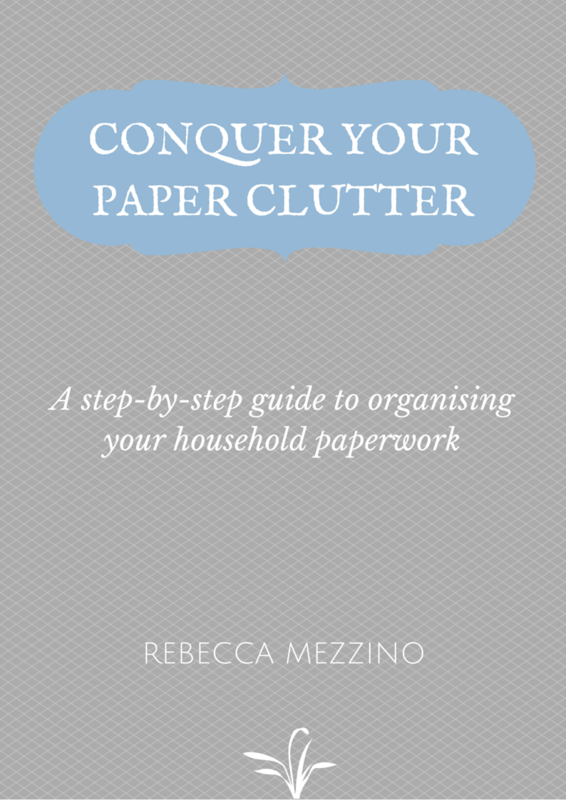 Tags: clutter, ebook, filing, household, paper, paperwork. 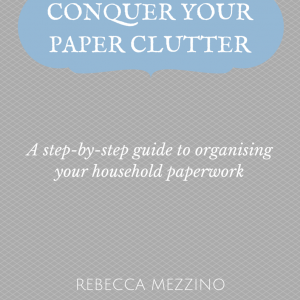 This ebook is designed to help you set up a system for your household paperwork that reduces paper clutter and stress. It’s has clear, step-by-step instructions so that you can design a system that works for you, your household and your life. Currently available in printable pdf only.